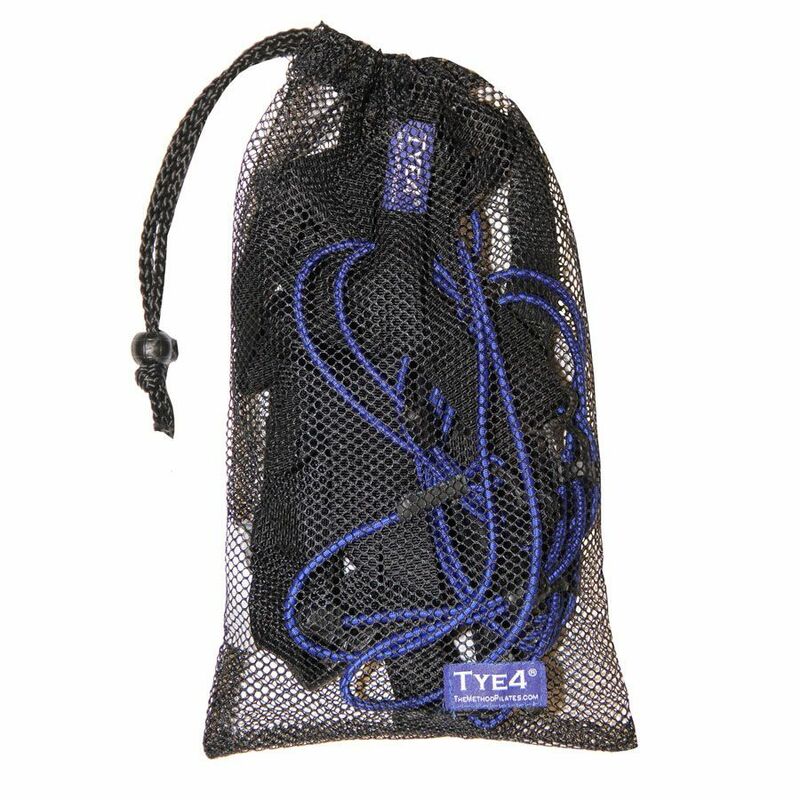 The Fitness Mad Tye4 The Wearable Reformer system is a closed chain movement system through the bungees, which fit comfortably over the feet and on to the hands via one of two hand loops that allow immediate resistance changes for the several exercises. 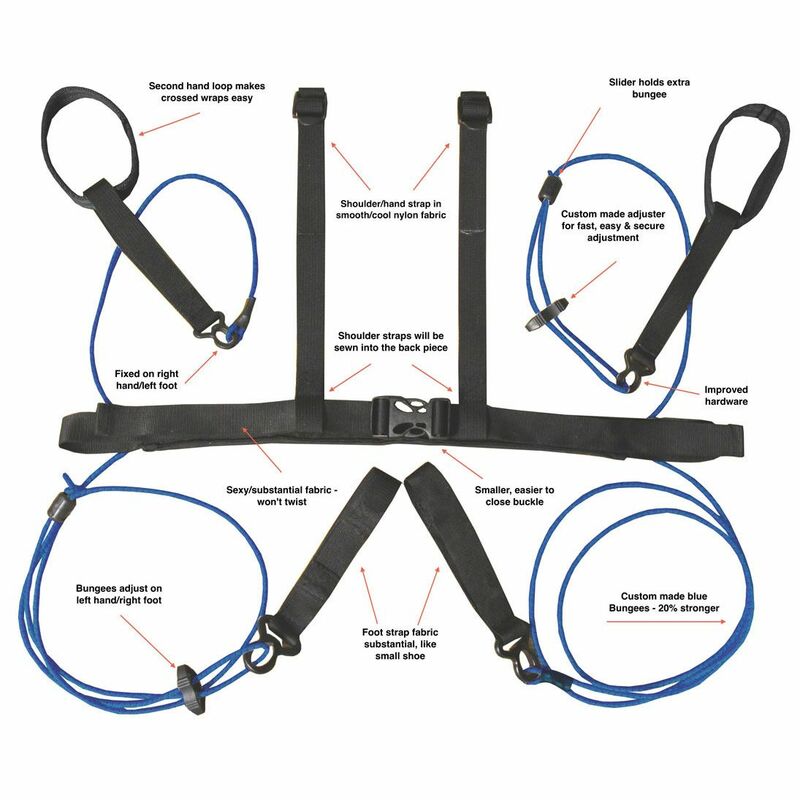 The closed chain system not only allows safer exercising but also deeper connections resulting from knowing where the body is in space. 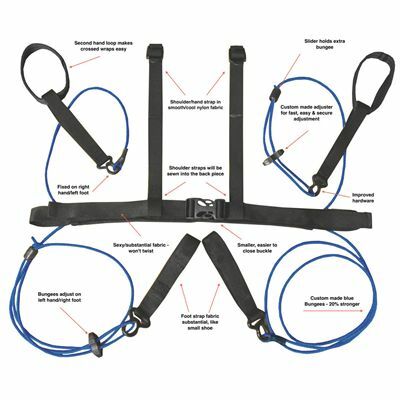 Extension and rotation exercises such as the Swan or Twist are facilitated by back crossing the arms bungees and holding them tightly using the second hand loops to support the back torso and assist greater movement. 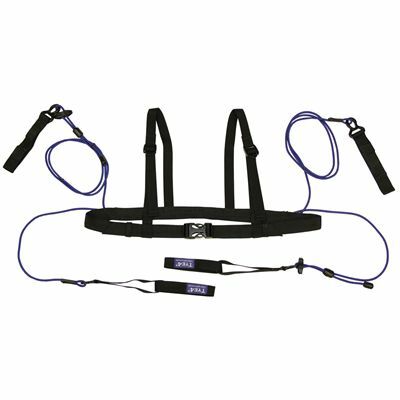 Standing exercises are supported by holding and pushing the leg bungees outwards with the added benefit of a lot of arm work too. 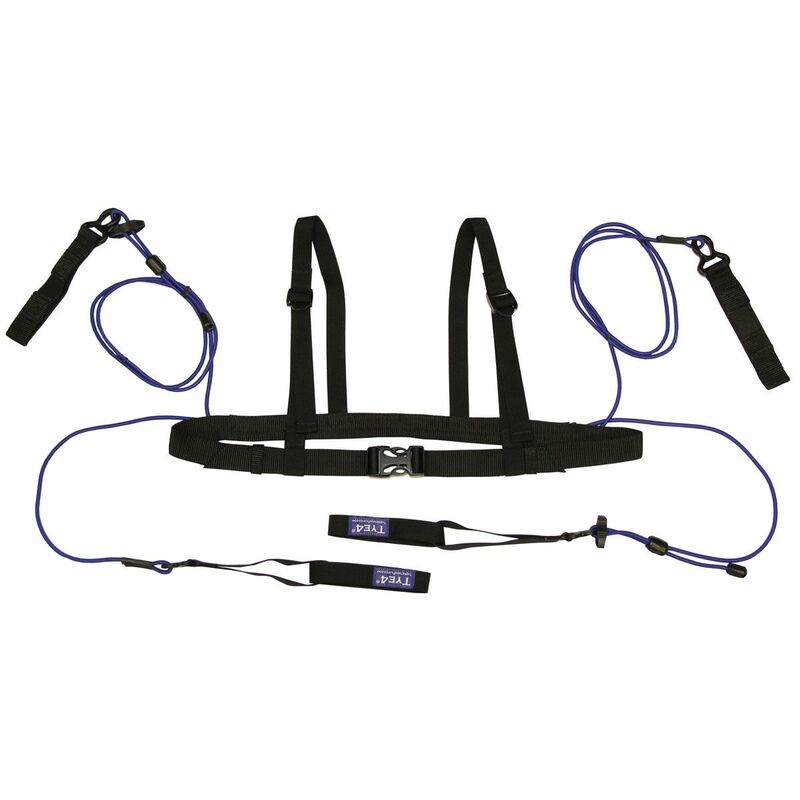 for submitting product review about Fitness Mad Tye4 The Wearable Reformer.